Another holiday, another excuse for photo cubes. Can you hear me singing “I just can’t get enough?”. You can see my other cubes here and here. Start by using 2″ square cubes from Michaels, JoAnn’s or even online. Cut various patterned Halloween paper into 2″ x 2″ squares. 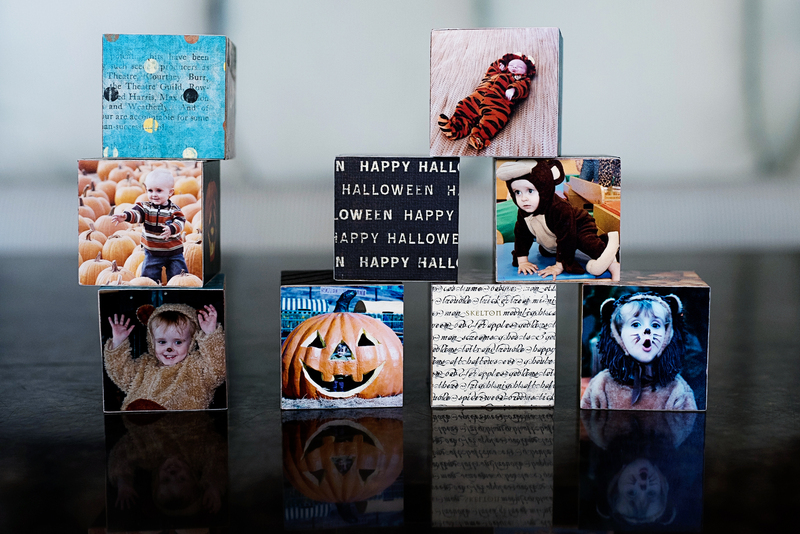 Find those precious October/ Halloween photos and cut into 2″ x 2″ squares. Adhere with Modge Podge or Aleene’s tacky glue using a foam brush. Finally, you have the perfect Halloween keepsake for a table or shelf. This entry was posted in Halloween, holidays, Projects and tagged Halloween, holidays, projects by mabufive. Bookmark the permalink.